QROPS France | UK Pension Transfer to France | Can it be done? QROPS France is a subsection of the Qualifying Recognised Overseas Pension Schemes (QROPS) theme on the AXIS website. QROPS allow British expatriates, or foreign nationals who have worked in Britain for a period, to transfer their UK pensions overseas. Who is, and who is not eligible for a QROPS? 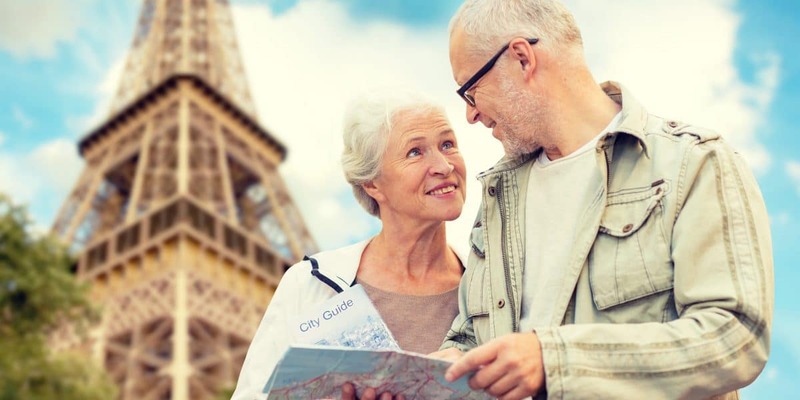 Qualifying Recognised Overseas Pension Schemes (QROPS) are a pension planning option for expats with UK pensions living in France. Wherever your retirement destination, it is best if you are able to arrange your finances in the most flexible manner. This means having access to your capital at a time you want, in the place you want, and in the currency of your choice. It is always important to have a clear understanding of pension legislation in your chosen country of retirement. Thereafter, it is necessary to select an appropriate product that allows you to benefit from both a tax and investment perspective. For those eligible for a pension transfer to a QROPS, there is a certain degree of flexibility in terms of how and when benefits can be taken. Below is an outline of the features of such schemes, along with an explanation of how they impact your retirement planning. In the UK, a tax free commencement lump sum of 25% can currently be taken from an individual’s fund upon crystallization of his/her pension. Current QROPS legislation also allows you to take up to 25% of your pension fund free from UK tax on retirement. However, it should be noted that certain countries may seek to tax such a distribution. For example, should you decide to take this lump sum while resident in France, you would be taxed at 7.5% under current legislation. HM Revenue and Customs (HMRC) rules allow individuals to access 100% of their UK pension fund after the age of 55. However, it is not advisable to encash your pension in full, as this can result in higher taxes on monies withdrawn. It is often better to draw an income from the pension fund periodically in a tax efficient manner. The investment performance of funds within the pension portfolio will also play a significant role in this equation. Expatriates who opt for a pension transfer into a QROPS have no obligation to purchase an annuity. Individual’s therefore have the freedom to select funds that best suit their risk profile. Retiring outside the UK on a sterling-based pension exposes your fund to unnecessary currency risk. QROPS solve this problem by allowing you to invest your pension, and take income and benefits in a currency of your choice. Rather than being restricted to a limited range of funds offered by one particular insurance company, QROPS allows you to access funds managed by any of the world’s leading investment groups. This means you are able to create a portfolio which more accurately reflects your individual circumstances. Tax planning and pension planning go hand in hand. Assets held in a Qualifying Recognised Overseas Pension Scheme fall outside of your estate for UK Inheritance Tax purposes if you die while living overseas. Unlike a UK annuity, the full value of your pension fund passes to loved ones upon death. This means your wealth is protected for future generations. It should be noted however that although QROPS are not subject to UK Inheritance Tax upon the demise of the member, other jurisdictions may apply some form of domestic taxation. Expatriates who are in possession of a QROPS in France, need to be aware that there are succession taxes levied upon death for French residents. It is important to take professional advice in order to address this issue. The transfer of UK pension savings to an overseas pension scheme must not exceed the Lifetime Allowance (LTA). The LTA is a limit on the amount that an individual can accrue in a UK tax privileged pension fund. This is currently set at £1,030,000. If an individual makes a pension transfer from a UK registered scheme to a QROPS, while resident in a country such as France, it is deemed as being a Benefit Crystallisation Event (BCE). When benefits are taken in the form of a pension commencement lump sum and/or income withdrawal, the value of the savings being crystallised is tested against the available Lifetime Allowance. Should the value of the total UK pensions exceed that limit, an individual would be subject to a tax charge of up to 55% on any BCE upon retirement or death. For those who transfer their pensions to a QROPS whilst resident overseas, the LTA will no longer apply. 3. QROPS rules and regulations – What makes a scheme a QROPS? The aim of the QROPS regime is to mirror that of a regulated pension scheme in the UK. As such, a person who leaves the UK and takes their pension savings with them, should be in a similar position as a person who remains in the UK with their pension savings. The QROPS rules set by HMRC are thus designed to complement and be consistent with UK rules. 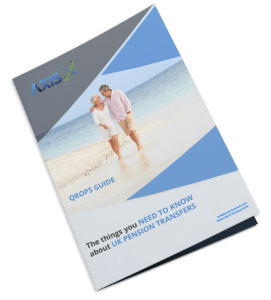 The rules on the transfer of pension funds from a UK registered pension scheme to an overseas pension scheme have now become more streamlined in order to simplify the administration process. Full QROPS benefits are achieved after an individual has been out of the UK for 5 full and consecutive UK tax years. This does not imply that you have to wait for 5 years before transferring to a QROPS if you are a recent emigre to France. It does however mean that UK tax legislation still applies for the first 5 years. As such, any withdrawals have to be reported to HMRC. By transferring to a QROPS in advance of retirement the LTA clock stops as the transfer is considered a Benefit Crystallisation event. This means that no matter how much your QROPS increases in value from that point, and as long as the 5-year rule is observed, you escape the punitive withholding tax of 25% on withdrawals over and above £1,030,000. Furthermore, the scheme manager does not have to notify HMRC if the payment is made 10 or more years after the day of the transfer that created the Qualifying Recognised Overseas Pension Scheme for the ‘relevant member’, provided that the person is non UK resident for the duration of this period. This 10 year ‘bracket’ for reporting payments took effect as of 6 April 2012. 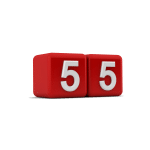 If a death payment is made within the 5-year reporting period, the QROPS trustees is obliged to report the payment to HMRC in respect of the deceased member. If the individual died before the age of 75 within 5 full and consecutive years of becoming non-UK resident, the deceased’s pension will be treated under UK law. After five complete years of non UK residency, 100% of the remaining fund should be available to beneficiaries free of UK tax on the provision that the individual died before the age of 75. However, if the individual dies within 5 full and consecutive years of becoming non-UK resident, whilst 75 years of age or over, under UK law beneficiaries would be taxed at their marginal rate on any draw down from the pension. Beneficiaries currently have the option of also receiving the pension as a lump sum payment, subject to a tax charge of 45%. It is also important to keep an eye on the legal climate in terms of QROPS rules and regulations. Changes in legislation can affect the status of your QROPS. Under the Loi de Finances Rectificative pour 2011, which came into effect in 2013, expats from the UK are required to declare the value of their pensions, including those assets held in a QROPS to the French fiscal authorities. This decreases risks and will avoid penalties. 4. QROPS France: Who is eligible for a pension transfer? He/she must be between the ages of 18 and 75 years. Be either a British national who lives abroad, or an individual who has previously worked in the UK, and is in possession of UK personal or corporate pension plans. Have a pension fund in excess of £75,000 for this type of arrangement to be cost-effective. A number of providers will allow individuals to top-up their fund in order to meet minimum transfer value requirements. Applicants for a QROPS need to provide evidence that they have left the UK or are planning to do so within the next 12 months. This can take the form of a lease on a property or a formal offer of employment. What UK pensions can be considered for QROPS? Guaranteed Minimum Pension (GMP) and protected rights can be transferred to a QROPS providing the member consents in writing and acknowledges that the transfer is made at their own risk. Who is not eligible for a QROPS? When considering an overseas pension transfer, it is important to note that not all pension funds are eligible to be treated as QROPS. Indeed, there are circumstances when retiring to countries such as France that a QROPS pension transfer is not a viable option. Any pension which has previously been used to purchase an annuity. However, if you have already taken a lump-sum payment form your pension pot, but not purchased a lifetime annuity, you may still qualify for a QROPS. Any pension that has already taken payment from a ‘final salary scheme’. It should be noted that pensions may be subject to UK tax and scrutiny from HMRC for the first five years of non-UK residency. When not to use QROPS? Pension transfers may not be permissible into an overseas pension scheme even though it has been recognised as having QROPS status by HMRC for UK tax purposes. Eligibility for transfer into a QROPS also depends on the scheme being able to accept a transfer under the legislation of the country in which it is established. For those who do not qualify for a QROPS pension transfer, there are other options available, depending on the size of your pension, the country you wish to retire in, and your tax and domicile status. The Self Invested Pension Plan (SIPP) is one of the more common investment alternatives for those who cannot take advantage of a QROPS. 5. ROPS list – Where are the schemes established? A list of Recognised Overseas Pension Schemes (ROPS) can be found on the HMRC website. The list consists of pension schemes that have informed HMRC that they meet the conditions to be a ROPS and have asked to be included on the list. There are now over 1,000 QROPS to choose from across 29 different jurisdictions. European-based expats seeking to move their UK pensions overseas are encouraged to seek out EU jurisdictions for their schemes; jurisdictions where a double-taxation agreement (DTA) framework exists. How do I know if it is a legitimate scheme? In order for a scheme to be classified as a QROPS it must first of all be a Recognised Overseas Pension Scheme (ROPS) and provide benefits in respect of retirement, ill health, death or similar circumstances. If it meets these requirements, the scheme must take certain additional steps to qualify as a QROPS as defined by the legislation. Not all pension transfers to overseas or offshore schemes are recognised as being QROPS transfers. It is necessary to verify that the scheme receiving your UK benefits is on a list published by HMRC. If the scheme is not on the ROPS List, any pension transfer would be treated as a transfer to a non-qualifying overseas scheme. This may result in substantial penalties being applied by HMRC at the time of transfer. This list consists of pension schemes that have informed HMRC that they meet the conditions to be a ROPS and have asked to be included on the list. It is important to note that the list is self-certified by QROPS providers; HMRC do not have an official approval system for ROPS. It is therefore the responsibility of the individual to find out if there is tax to pay on any transfer of UK pension savings. The list is usually updated twice a month by the ‘Pension Schemes Services’ department. A scheme’s name will be promptly removed from the list once HMRC is aware that it has ceased to be recognised. Furthermore, should HMRC have concerns about the scheme’s status at any time, then the scheme’s name may be removed whilst HMRC carries out further checks. As mentioned previously, there can be certain disadvantages in transferring to a QROPS including the potential deregulation of the scheme. Schemes that are to be removed from the list are notified in advance by HMRC; the reasons for delisting are explained to the scheme manager. 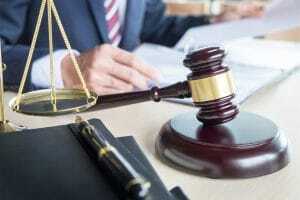 A scheme is generally delisted if UK Pension administrator’s find that there is insufficient pension regulation in place in a given jurisdiction. HMRC make every effort to distinguish between providers who have applied for an exemption from regulation and those who have not. They are under no obligation to make public their reasons for delisting a particular scheme. It follows therefore that members, who are concerned about their scheme being removed from the published list, should approach their scheme manager in the first instance. There are numerous territories which are recognised as being suitable for the hosting of overseas pension schemes. 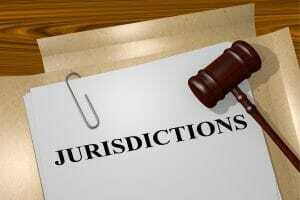 It is important however to weigh up the pros and cons of each jurisdiction. 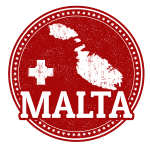 Since 2009 Malta has established itself as a listed QROPS provider. It has been proactive in the development of the QROPS market with the installation of local regulators to work with HMRC in order to ensure that all rules and procedures are adhered to. Malta has the key advantage of being able to offer EU country-based schemes to the marketplace. Individuals who intend to retire to a European country, and have their UK pensions transferred to a recognised overseas pension scheme, should give serious consideration to Malta as the jurisdiction of choice. Malta has an existing double-taxation agreement (DTA) framework in place. This framework consists of agreements with 59 other countries including the UK, and renown EU retirement destinations including France. **Please note that it is important to speak with a professional financial adviser who will review your personal situation and determine if a QROPS pension transfer is appropriate for you.